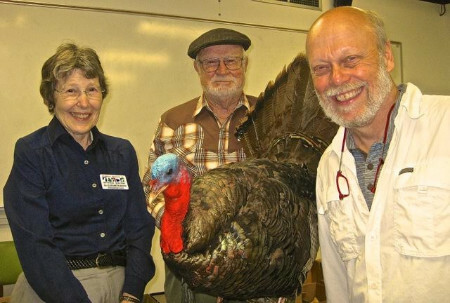 Happy Thanksgiving wishes to all the Friends of the Georgia Museum of Natural History. I’m thankful that our museum has had another successful year of adding to the collections, the physical evidence of Georgia’s natural diversity. I’m grateful to those curators I see every day and those who work in their labs elsewhere. Specimens and artifacts must be identified, prepared for study, and catalogued in order to have scientific value; that is the task of the curators. The Friends will have the opportunity to meet with curators during “After Hours at the Museum” sessions during the coming year. Don’t forget to mark your calendars for December 10th, 6-8 pm, for a joyful celebration of the Season with Friends. Beverages, adult and other, light snacks, seasonal music, and lots of laughs. RSVP to Dac Crossley at soilmite@earthlink.net, if you would be so kind.